As the countdown to Science Uncovered 2014 begins, we have been busy behind the scenes thinking about how we talk about our science. How we make it interesting to YOU and how we can get YOU involved. Making science accessible to all is one of our big challenges as a leading natural sciences organisation. 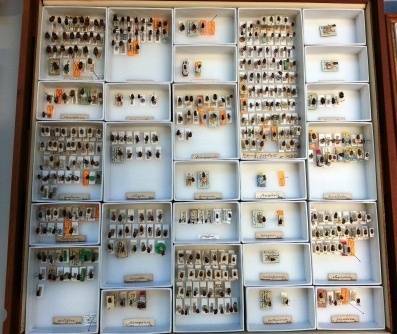 With upwards of 80 million specimens (10 million of those are beetles!) we have a wealth of data that if only it were publicly mobilised would be even more relevant to the world at large, not just researchers in the natural sciences. Essentially we want to share our data; but, if I told you for our 10 million beetles we have just six curators, how is it even conceivable for us to make that data accessible?! It took the creative mind of Ivvet Modinou the Museum's science communication manager and one of the leading people behind the Museum's participation in the EU's Researchers night to come up with a grand plan that would unite scientists and our visitors (YOU!) in making our data ever more accessible to the world at large. A few meetings later with Max Barclay (Coleoptera collections manager), Ben Scott (Data Portal Lead Architect) and Laurence Livermoore (digital analyst) the fledgling idea became reality. 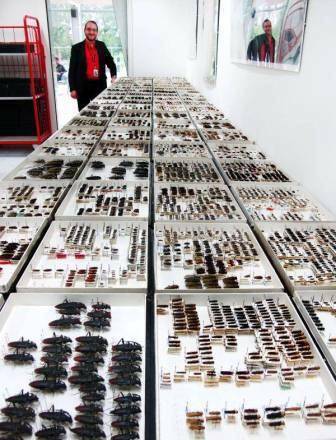 Max with just a few beetles that we would love to be imaged! 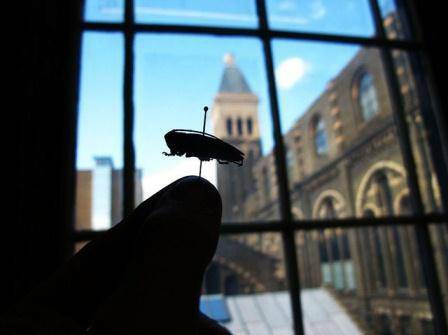 Taking our Beetles and Bugs Flickr pages as a model the idea developed into something much more ambitious, and we want YOU to help us achieve this on the night! All you need is to turn up, be able to read and possess a smartphone or tablet – easy! Are you ready? First we take a photo of the specimen which we upload to our Flickr site. After this a transcription app pulls the image from Flickr, and we ask any willing member of the public to transcribe the image. Once transcribed these data are added to our "Science Uncovered Transcriptions" data set. Then it's up to you to tweet about your good work! You can even do it whilst having a beer! Don't worry if you're concerned about data accuracy, we've thought about that too. 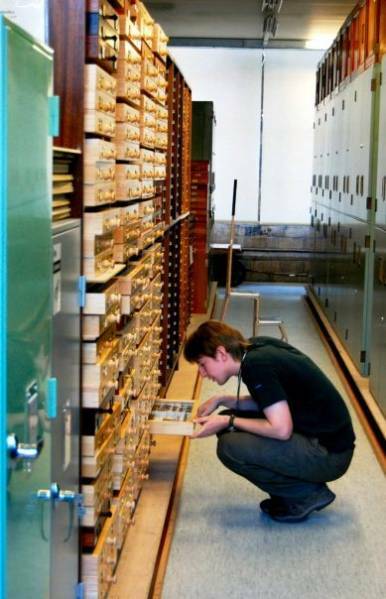 Every specimen label will be transcribed multiple times, building up the level of accuracy and we will have our experienced team of digitisers and geo-referencers on hand to answer questions. After the event the dataset will be cleaned up by Ben, and then Max and Ben will work with the data to prepare it for entry in to our Museum database (imagine a database that has to cope with 80 million records!). Thaumastopeus agni (Wallace A.R., 1867) image taken by Helena Maratheftis. Species was named after the collector, a Mr. Lamb, but Wallace translated his name into Latin. but also to get specimens identified. Each year we receive upwards of 50,000 specimens into the collection from recent collecting trips such as this beetle collected by me and Max in Borneo in 2013. Lepidiota stigma (Fabricius, 1798) collected in Borneo - a beetle capable of producing the purest form of white colour known to science. 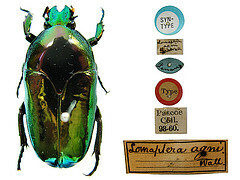 Identifying these beetles can be a lengthy process so putting them up online allows a first look for researchers and taxonomists all over the world. If they see something they think is interesting we can then send those specimens out on loan; eventually they will be returned identified and quite often there will be a few new species too! Hillery Warner (beetler and top specimen mounter) was one of the pioneers of our Flickr site, and here she explains why we began this most ground-breaking of projects. "The Flickr project started off as a way to see if our unidentified material might be voluntarily identified by specialists around the world if we provided it online. While we did have some success with this, the project quickly evolved into not only a fantastic public outreach outlet, but also a way of maximising the usefulness of our digital loans. Scientists scattered across the globe need to see specimens in our collection in order to do their work- identifying, describing, and revising life on earth. Sometimes they need to take a really close look at every detail of a specimen, which means they have to fly over to London, (which is expensive), or we need to actually put the insects in a box and post them out on loan. But sometimes they just need "to see it". This is when the very best option is to take a picture and send it. Job done. We call that a "digital loan". Before the Flickr site, we would email the attachment to the scientist who asked for it, and we were the only people to ever see it. What a waste! 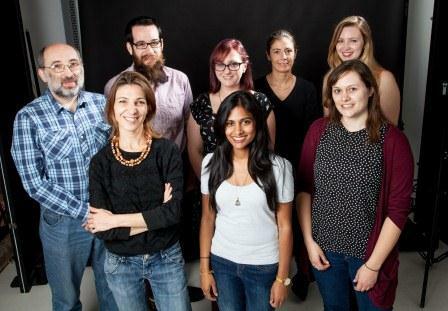 These people are working on cool stuff. And you should get to see it, too. So now, we put it out onto Flickr for you too!" Since the inception of our Flickr site the Museum has began digitising collections on an even larger scale and now employs a team of people to image and transcribe. 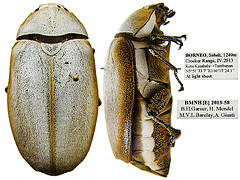 They work on dedicated projects; the most recent one for Coleoptera being the digitisation of 9000 specimens of beetles belonging to the family Chrysomelidae (the leaf beetles), of which many species are known to be economically important crop pests, as part of the Crop and Pest Wild Relatives Initiative. So, we look forward to working with you on the night! 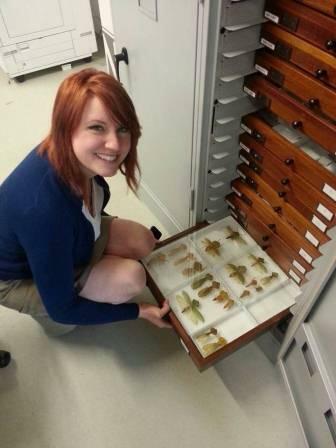 Let's see how many specimens we can transcribe… and remember, we need you to help make this a success!